With your LSAT score in hand, it’s time to consider what that number means for your admissions odds. Everyone knows that an LSAT score is almost universally prized above all other factors. It often counts more towards an acceptance than GPA, letters of rec, personal statement, and resume combined! Often, if you can believe it, several times more than that collective “other”—but exactly what does the number you’ve attained mean to the school (or schools) to which you intend to apply? Let’s investigate. I should start by noting that I consider this a companion piece to this excellent article. I think anyone intrigued by this topic would be well-served to read. What follows is an expansion on the numerical quantifiers law schools report to signify entrance based on LSAT score. The post fills in several critical details elsewhere, not least in suggesting that an analysis like the one below is equally applicable to GPA statistics. LSAT just happens to be on everyone’s mind at the moment, so it’s there that I’ll focus. Each fall, law schools send their quantitative applicant matriculation data to the American Bar Association (the ABA), which then reviews the data as part of the accreditation process. You can read more about this process, and see the list of accredited schools here. The methodology has changed slightly over the years. Most notably about ten years ago with the lifting of the requirement that schools submit entrants’ average LSAT scores, allowing only the highest score to be reported. Essentially this means there is a wealth of statistical information available that potential applicants can, and should, consider as they make decisions about where to apply. Why? Because this data provides a tremendous amount of insight into your likelihood of acceptance at a given school, based on how that school has treated similarly-qualified applicants in the past. More specifically (or more numerically, at least), the most commonly tallied LSAT figures, and the ones you’ll encounter over and over in your research, are a school’s median LSAT score, 25th percentile LSAT score, and 75th percentile LSAT score for those applicants that are accepted and choose to attend, and each deserves a quick look. This is the most obvious, although not necessarily the most informative 1. What this number tells you is the point that divides accepted applicants who enroll exactly in half. The number who enroll above this score is exactly the same as the number who enroll below it. There’s an extremely high correlation between median score and rank. Schools in the top 5 are all at or above 170, dropping all the way to a median of 160 for schools closer to 50th. Certainly many factors go into rankings beyond LSAT scores, but it’s no coincidence that higher-ranked schools prefer higher-scoring attendees. 1 That’s also why I hesitate to call a near-median score informative. It’s simply an aside at that point, where your acceptance hinges much more on everything else. Your LSAT is enough to open the door, but you’ll need to shine elsewhere if you want to stay in the room. 2 It should come as no surprise that post-LSAT, the rest of your application takes center stage. It will figure prominently into the points made here. The math is much the same as with median, but the implications are quite different. In the same way that a median score divided attending applicants exactly in half, the 25th percentile splits them into a 1:3 ratio, where only one of four people with that score or lower got in and enrolled. It takes little imagination to recognize the peril here. In essence what an LSAT score at or around the 25th percentile for a school means is that you’re not out of contention—1 in 4 succeed from that position, after all—but it’s going to take something extra special to make the cut. Essentially, as Anne puts it in the article linked above, you “have to write your way into the school, using your softs [non-LSAT and non-GPA] to try to convince AdComs [Admissions Committees] that you’d be a solid addition to their incoming class, despite your low numerical indicators.” This is no small feat. The rest of your application needs to be absolutely stellar, impeccable really, to compensate for the fact that letting you in is going to potentially lower the school’s LSAT average (and consequently ranking, whether the school would admit to as much or not), and is risky: don’t forget, schools put weight on LSAT to the extent they do in large part because it’s considered a predictor of success, and coming in with an LSAT score lower than 75+% of your fellow 1Ls is some cause for concern among the administration. Just about the only thing you can do to get denied with a result in the top quarter of accepted students is to have something else on your application that negates the score. Sometimes that’s unavoidable—the anchor that is your 1.8 undergrad GPA, say—and at the very best schools literally everyone is so well-credentialed that a 175 is more requirement than deal-sealer, but presuming your GPA is strong and your target school a touch more modest, then it’s really snatching defeat from the jaws of victory if a 75th doesn’t get you in. Again, it all hangs on the rest of your app. Although here it’s ensuring it doesn’t hurt you somehow, instead of relying on it to redeem your 25th percentile efforts. It should be unmistakably clear that all of this comes down to what you do next. How are you going to land on the desired side of that median? Or be that 1/4 who overcame the odds? Will it showcase all your hard work and make you outpace 3/4’s of your competition through the finish line? The answer, in every case, is that the remainder of your application needs to be perfect. You’re in the home stretch. Don’t blow it. Finally, I want to make you aware of one of my favorite resources for researching data on nearly all of the ABA-approved schools in North America: LSAC’s LSAT/GPA Calculator. This tool allows you to input your undergraduate GPA and your highest LSAT score, and get feedback on where each stands relative to attendees at individual schools, as well as your likely odds of duplicating that result on those figures. It’s not a crystal ball of course, but it should give you a reasonably accurate estimation of how you’ll fare as you send off applications in the fall. Questions about your score or how it might be treated? Ask away below! My LSAT score is 165 while my GPA is a 3.9. I was wondering if the strength of my GPA would allow me to be closer to the 25th percentile of a school in terms of the LSAT? Thanks for the question! Your GPA and LSAT do offset each other, so a higher GPA compensates and allows you to have a lower LSAT score while maintaining the same overall chance of admission. While GPA and LSAT are the two main hard factors in admissions, the LSAT is actually weighed more than GPA (trust me, I know it is crazy that a 4 hour test outweighs 4 years of schooling, but that is how it is). So, in the balance, a high GPA/low LSAT combination is less powerful than a high LSAT/low GPA combination. In other words, a high GPA offsets a lower LSAT, but not as much as if the situation were reversed. 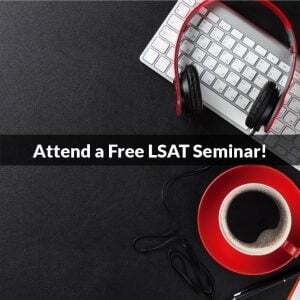 However, whereas GPA cannot be easily changed in a short amount of time, your LSAT score can. And since law schools only care about your highest score these days (see http://blog.powerscore.com/lsat/should-you-retake-the-lsat-admissions-ex… for more info on that), you could retake the test. Even a single point higher would probably be worth it if you are looking at the T14 schools. In the final analysis, it really depends on the schools you are looking at as to what your chances are and what you should do. Do you think my LSAT of 165 and my low 2.82 overall GPA (but 3.68GPA in the last half of my degree) with a lot extra curriculars and being a college athlete with great references will give me a chance to get in anywhere decent? Well a lot of that depends on what you mean when you say “decent.” That LSAT is going to go a long way, but the GPA is a hurdle. I’d certainly recommend writing an addendum explaining why the first few years’ grades were so low, so that will help. Then it’s a matter of emphasizing your other highlights: score, later academics, extracurriculars…and making sure your personal statement and letters of rec are super strong as well. Could you explain splitters and how that affects chances of admittance? Specifically, I’m interested in going to a T14 school, my LSAT is 170 but GPA is 3.4. Let’s take University of Michigan (one of my top schools)… I am above their 75% LSAT, but below their 25% GPA. What does this do for my chances, given I have a good application otherwise? Let’s say that as they are working through he tapplicant pool this year, they have a number of highly attractive candidates with stellar GPAs, and their GPA averages are setting up to be even higher than usual. But, their LSAT average is a bit lower than usual. What can they do? Sure, they can go out and seek applicants who not only have a high GPA and also have a high LSAT, but those applicants are sought by every school, and in a sense you could begin to chase after a number of attractive candidates without landing any of them (you sometimes see this in sports when a team goes after a number of high profile players but signs none of them). So, this approach–chasing the cream of the cream, so to speak–is risky. Alternatively, you could use splitters to shore up the LSAT average. In this case, Michigan could decide to admit candidates who had LSAT scores higher than their usual median while knowingly sacrificing some of the GPA they had built up. This would lower the overall GPA–which would be fine if it was already higher than normal–while at the same time raising the LSAT average back up to usual levels. Note that the utility of splitters here is high–they can help fix “problems” in the entering class. But, next year the situation might be different, and maybe GPA is low and needs to be fixed. Or maybe there are no issues at all and splitters aren’t needed in the numbers they were the prior year. In the final analysis, no one knows what’s happening inside the applicant pool except the adcomms at each school, and so there’s no direct way to gauge what the chances are on your app. But, the higher your numbers are above the 75th percentile, typically the better (because it offsets more than a lower number). Because of this uncertainty, it’s also why it’s not unreasonable to take a chance on a school where you are a splitter. It just might be that they need your numbers, and you end up with an acceptance. Bottom line: splitters can be highly desirable for law schools, but it changes every year. Because of this your admission chances are more volatile. Offset that by applying to more schools. And apply as early as you can. there’s a limit to how many splitters any one school will accept, and you want to be in that line as early as possible. Hi there. Just got my December LSAT scores back and got lower than expected–154. I have a 3.7 GPA from UNC, am a college athlete and have great recs and resume. The score is lower than the 25% of my two top schools. Should I bother applying or is there no chance at this point? Unfortunately if you’re below the 25th percentile for your target schools I’d say it’s a pretty long shot. Not impossible (! ), especially with your other credentials, but those statistics don’t lie: odds are somewhat against you. So even if your “softs” (letters of rec, personal statement, resume) are strong, it’s awfully tough to pull up a sub-25% LSAT enough to make yourself a likely candidate for acceptance. That said, the advice I always give people is to call schools and see what they say! Admissions offices are extremely helpful and will do all they can to give you the info you need to become the best applicant possible. They may tell you to roll the dice and see, or they may advise you to write an addendum (I’d advise this), or they may say it’s not looking good without a higher score. At any rate at least then you’d have heard it from the people who truly matter. I have gotten a 156 and a 3.2 GPA. I finished undergrad last May and have a decent resume with job experience, volunteer work, and leadership roles. The school I want to go to has a median GPA of 3.4 and a median LSAT of 154. How do I stand? I am also working on letters of recommendation at the moment. Thanks for the question. Jon is unavailable, so I thought I’d answer your question so you do not have to wait. You clearly have a shot since you are above the LSAT median and not too far below the GPA median. As far as exact chances, it’s 50-50 but only because we don’t know enough about the exact situation, and at this point, it’s the details that make the difference 🙂 How the school’s applicant pool is shaping up will have an effect, as well as the specifics of your personal statement and LORs. But, you have a chance so that’s good! i want to get in to university and i have low mark in my jamb 2017 i have 160 pls help me. Hi Tyosue – thanks for the comment! I’m not entirely sure I understand what you’re asking/saying, however. It sounds like you’ve scored (or are scoring) 160 on the LSAT, in which case congratulations, that’s a solid score! The two things I’m unclear on, assuming I’m right about the score, are “i have low mark in my jamb 2017” and “i want to get in to university.” I’ll explain. For the first bit about “jamb” I’ll be honest: I have no idea what that means 🙂 Can you perhaps clarify? For the second about getting into schools, I’ll need some more information. What school(s) are you interested in? What’s your background/undergrad GPA? When are you thinking of applying? Have you taken the LSAT and, if so, is 160 your score (or something else)? Without that information–and likely much more–I can’t really speak with any authority on what you should be doing, what your next steps are, or what your odds of acceptance look like. Let me know when you get a chance! Thanks! I am reconsidering retaking. I got a 168 and have a 3.9+ undergrad GPA from an Ivy League school. I am somewhat confident I could hit over 170+ if I retook it, only because I did significantly worse in one LR section (-6) because I really needed to use the restroom and it was right before the break. Would it be worth it to take again? I am looking at NYU/Duke/Berkeley, as well as Vandy and UT. Thanks for the question! I think you said it right in what you wrote: ” I am somewhat confident I could hit over 170+ if I retook it.” If that’s the case, and with a 3.9+ GPA, you owe it to yourself to make another run. If you can get into the 170s, with that GPA you’d be looking at more acceptances and highly-ranked schools as well as better financial offers from each school. Since you believe you can do it, I see no reason why you shouldn’t go for it again. Thanks and please let us know if we can help in any way! Hi Ray Ray – that’s a good question, and to be honest I’m not entirely certain of the answer! From the LSAT perspective I can tell you that your score is below the medians for University of British Columbia, University of Calgary, University of Toronto, University of Victoria, and University of Western Ontario, so those schools are going to be a stretch no matter what. You’re very near, or even above, the median LSATs at Dalhousie, McGill, Queen’s University, University of Manitoba, University of New Brunswick, University of Saskatchewan, and York, so those are a higher likelihood. My uncertainty arises from exactly how Canadian schools will treat a Nigerian 2.9 GPA (out of 5), as that will definitely play a factor…but I don’t know how large of one, or how much it’s working for or against you in the eyes of admissions committees. So my advice here is to call each/every school to which you’d like to apply and ask them how your credentials will be viewed, and what else (if anything) might be required of you as an applicant. They may also be able to provide some advice on how valuable an LSAT retake and higher score might be, so be sure to ask that as well! Hi. I have a 4.0 GPA and I just completed my LSAT but my score ridiculously low. I have a 138. I know I have to take the test over, But the School I want to attend has a median LSAT score of 153 and a 3.2 GPA. Were do I stand? Hey Alplato – thanks for the question! I’ll be candid with you (since there’s no point in beating around the bush): that’s almost certainly–as in 99%–not going to be enough to get you in. The GPA is obviously a plus, but with an LSAT score in the 130s you’re an extremely hard candidate for any school to accept, and essentially impossible for schools with a median 15 points higher than your number. Certainly you can call the school directly and explain your situation to get a sense of where you might stand (they may not tell you a firm “no” but you’ll at least get an impression of the likely outcome), but I strongly suspect you’re facing one of two choices–apply to lower-credential schools, or retake the LSAT. The retake option is what I would advise, as another 10-12 points–which is absolutely attainable with proper prep and additional, diligent study–should be enough to get you into your target school without a fuss! So whether that happens in September or December (my recommendation), get started now, pick up the right tools whether that’s a course, and On Demand study program, or pure self-study with the LSAT Bibles, and keep at it! And as always let us know if you have any question! Hello and thank you for this post, it was quite informative. I am from Canada and currently just graduated with a cumulative GPA of 3.17. Most of the Canadian schools I know take the last 20 courses for GPA, I will then have 3.47. Unfortunately the average GPA is too high (I want to go to the University of Calgary, which was 3.63 in 2016 and LSAT average of 162). However, I was told by other peers that I would have a higher chance if applied outside of Canada. I was wondering if this is true for American law schools. I have not written my LSAT yet, I plan to write it this December and aim for a score of 165+. If I get a score of 165 on the LSAT and with a cGPA of 3.17, which American law schools would I have a chance with? I am also considering applying to City University New York (CUNY). Hi Jennifer – thanks for the questions, and I’m happy to hear you found this post helpful! The LSAT tends to be the more crucial factor for schools (vs GPA), so if you’re applying with a GPA viewed as 3.47 to a school with an average GPA of 3.63, you’re likely close enough to gain admission provided you can be at/above their 75th percentile for LSAT. In looking at Calgary’s site I don’t see 75th percentile info for LSAT listed, but I suspect it’s probably about a 166 or so. Simply put: if you can hit a ~165+ I think you may have a decent shot at Calgary. Granted, only about 1/10 applicants enroll (meaning acceptance odds on the whole aren’t great), but I still suspect you’d have a reasonable chance of acceptance. With that you can enter your GPA (this is probably going to be the 3.17 number) and prospective LSAT scores to see what odds you get for the schools whose numbers are included. That should give you at least a decent sense of how things are likely to go with various LSAT results. Lastly, keep in mind that nothing is ever certain when it comes to admissions, so these numbers are always just best guesses. Exceptions occur (favorable and not), so take some chances and also keep a few safety schools in mind as you start to apply. I know this is a really old post, but I’m in post-LSAT obsession mode, so I figured I’d read a bunch of archived ones. 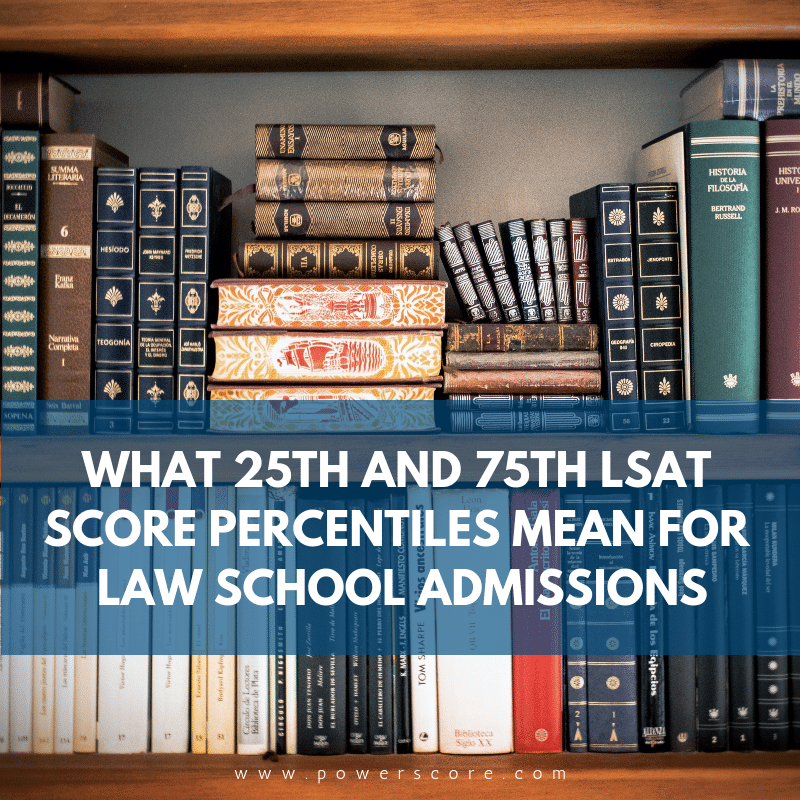 Question about percentiles: I’d always assumed 25th and 75th percentiles referred to the students attending the given Law School, not to each and every student granted admission to the given Law School. Am I incorrect? Seems like these two groups of students might yield significantly different numbers. Hey Rosie – thanks for the question! I’ve edited the article above to make the process more clear: you’re correct that it’s admitted applicants who then decide to attend. You’re also correct about the nature of the two groups——those accepted vs those who enroll——in that information about the former would be far more useful than only getting data on the people who choose to attend the school in question. But regrettably the reporting system only provides info on attendees. My GPA is a 3.8 and my LSAT is rather low, a 148. The school I want to go to (South Texas College of Law) 25th-75th percentile LSAT is 148-152; the 25th-75th percentile GPA is 2.8- 3.3. My LSAT is within the range, even though it is on the lower end and my GPA is exceptionally high. To add to that, I am in a sorority, I have had three different internships in the legal field, I have ALOT of community service experience at the university’s daycare center, I am an officer of Phi Alpha Delta Pre-law Fraternity, competed in the PAD mock trial competition for three years, and I am in two different honor societies. I put my numbers into the calculator on LSAC and my predicted likelihood is between a 78%-90% chance of acceptance. I know that this is a high probability, but should in consider this a promising chance? Hi Carman – yes, I’d say that’s very promising, particularly if the rest of your application is solid: great letters of rec, strong/polished personal statement, and so on. I think you’d also find that if you could get that LSAT score up even 3-5 more points (to the high end of their range), which is roughly the statistical average that retakers at that level tend to improve, you’d find yourself not only a lock but also very likely to be offered substantial scholarships. So that could make a retake well worth it! Let us know what you decide and how we can help you out! HI there, my undergrad GPA is 3.27 and my LSAT score was 161. I’ve also attended graduate school (with a GPA of 3.76 although I’ve read that they don’t care about that), and I have a few years of work experience. What sort of chance do you think I have at T20-30 schools? I’m trying to determine my reach, target, and safety picks and am struggling a bit to figure out how to choose. I notice I tend to be in the 25-75th percentile range for LSAT scores but have a lower GPA. Also, do you suggest I write an addendum explaining my undergrad GPA? Thank you, that was very helpful and reassuring. I actually just retook the LSAT in September and was disappointed to find that my score did not increase, so I am feeling a bit discouraged and I am not sure if I want to retake it, since I feel like I hit my plateau. Do you think that I should take it a third time? I am able to wait until as late as February for South Texas admissions. Hi Jon! I have an undergraduate GPA of 3.6 from the University of Illinois and just scored a 160 on the September LSAT. I also (regrettably) took the December 2016 LSAT with very little prep and received a 152. I really want to go to a top 20 school and I am already registered to take the December LSAT to give myself one last shot at getting a score that will improve my chances. What, if any, score do you think would make a top 20 school a target school for me? I know that my GPA is on the lower end of the spectrum so I am wondering if I am being unrealistic/should reassess myself when it comes to the list of schools that I want to apply to. Thanks in advance for your help! I would definitely plan to take it again, and probably in December as I think 2 more months could well be enough. With that GPA another 4-6 points would make a huge difference, so for sure keep at it, and it’s not like Feb is off the table if you find your PTs still aren’t where you want the week or so before December (you can withdraw and schools won’t even know you were signed up). Plateaus are usually artificial: people just need to find a different/better way to prep to break through! Get some different books, take a course, grab a few tutoring hours…something to jumpstart you and help you keep growing. You can even apply now with your numbers, which should be enough, but let them know you’re considering a retake to boost your LSAT and perhaps negotiate scholarships, then keep practice testing and prepping to see if your numbers are higher in the next few months. If so, go for it! If not, nothing lost as you’ll likely get in as-is anyway (and the school can give you a better sense of that if you ask them directly). Hi Taha – thanks for posting! This is tricky, because the broader the range/number of schools, the tougher it is to say definitively how they’ll behave: schools are often pretty singular to begin with; talk 10-12 at once and suddenly there’s even less consensus. Still, I think you’ll find that GPA (undergrad) to be a bit of a hindrance, despite the improved grad GPA (which yeah sadly they pay much less attention to). It’s not a deal-breaker necessarily but I’d feel a lot better about things if you could bump that LSAT score another few points, even 4-5. That would really help to offset things around the high teens and low twenties, and make you an attractive scholarship candidate at those a little lower-ranked. An addendum can help (if done right it certainly won’t hurt), but something I’d strongly consider in your shoes would be a retake. I’d sign up for December and keep prepping (harder/more than this go-round if you can) and see if you can get that number up a bit. If so, you’ll be awfully glad you did, and I suspect (as is the case with most people) you’ve still got some points to gain. You can enter your data there and see what results you get for a number of different schools, and then play with the LSAT to watch the odds change. It’s not perfect of course–other factors play a role as well, as you know–but it’s a good estimator in most cases. Let us know if you want to dive back into prep and how we can help you out! Hi Jenna – well first I wouldn’t worry about that 152, as schools really won’t care about that. So it’s just a matter of what a 160/3.6 might mean (your current best-case) for schools, versus what begins to happen as you climb to 163…165…168, and beyond. With it you can enter your GPA and then play around with different LSAT scores to gauge your odds of acceptance to the majority of schools out there! Of course, there are more factors at play than just those two numbers–you can do yourself some additional favors with a great personal statement, letters of rec, etc–and not every school reports data in the way LSAC wants to use it so you may find some targets that aren’t included in their calculator. But it’ll give you a good idea of roughly where you stand. If I’m a betting man I’d wager you hit better-than-50%-chance at at least a few schools once you reach a 165 or 166. At 167-169 you’ve got a lot more options, probably no fewer than 8-10 of the top 20 are at least realistic. Well into the 170s of course everything but maybe the top 3-4 schools are on the table. So this is all about your next LSAT score. Prep like crazy and don’t leave anything to chance, whether that means a tutor or a class–there’s a real opportunity here but it hinges almost entirely on one number. Fortunately that’s also the factor most within your control at this point, so look at this as a blessing! Your GPA isn’t changing. Your LSAT can! Hi John, thanks for your response! For the prepping like crazy part – I just ordered all of the powerscore materials for the 1.5 month self study plan listed on your website. Do you think this will be enough? I am hesitant to do a tutor/class because I hired a tutor last year and, after charging a me a ridiculous amount of money, he blew me off completely by bailing on sessions and never sticking to the initial schedule he had sent me. Just to address the tutor concern you have, that should not have happened to you! One of the benefits of working with a company like PowerScore is that we won’t accept that kind of behavior from tutors, and would both sideline that tutor and reassign you to a new one. Maintaining our superior reputation depends on student happiness, and we bend over backwards to make things run smoothly and to keep students happy. So, at least on that point, you need not worry with us. On your time question, 6 weeks is a very fast schedule, and the LSAT Bibles contain a massive amount of information. A tutor would definitely help speed up your absorption and use of the techniques and information. If you can afford it, I always recommend it! I have a 169 and a 3.82 from an Ivy League school. Jon and/or Dave, do you have any thoughts on retaking the LSAT in December if my dream school is Stanford? 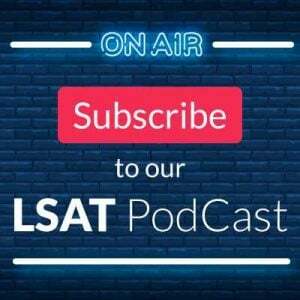 Is taking the LSAT that late into the application cycle a big disadvantage? Hi Cata – thanks for the questions! Honestly with a 3.82 from an Ivy you have a realistic shot at Stanford, but only——again if we’re talking legit likelihood——if you get that LSAT score up. Dave wrote a great article today in fact on who should retake the LSAT (http://blog.powerscore.com/lsat/who-should-retake-the-lsat) and I think you fall squarely into both groups 2 and 3 (and possibly 4): I suspect with a few more months of prep you could pull another 3-4+ points; your score/credentials are great, but probably still too low for Stanford; and if that’s really your target school then all signs point to a retake! The good news here, aside from the clear choice you face, is that December is absolutely not too late in the cycle for ANY school, especially these days when applicant number are still at near-historical lows. Schools aren’t under the same pressure to start churning through them as they were 7-8 years ago, so they tend to start the evaluation process later, and are much more open to apps received in January and beyond. A number of top schools these days will even take the June exam for admission in the same year, 2-3 months later (http://blog.powerscore.com/lsat/which-top-50-law-schools-accept-the-june…), and I suspect we’ll continue to see that number grow! I’m in a limbo, trying to decide whether or not to take the February 2018 LSAT. I scored 155 on the December 2017 test, and the median at my target school is 157. My GPA is in the 75 percentile. I know there is a risk to taking the test again; your score could go down, but more hopefully up. If the 25th percentile is 154, doesn’t that mean that 25% of enrolled students scored 155 or 156 (like me)? I have a strong resume and great letters of recommendation. The LSAC calculator puts me at a 68%-90% chance of admission based on 2016 data. Is a 155 enough to “open the door” so the rest of my application can shine? Thanks so much! Hi Jessica – thanks for the question! The short answer: yes, a score above the 25th percentile and a GPA at the 75th will absolutely “open the door” and get you serious consideration for admission. With excellent “softs” (letters of rec, personal statement, resume, etc) you have a better than even shot at getting in, as the calculator shows. They function similarly to the LSAC calculator, where you enter your info (or a range including it, such as 154-156 for LSAT) and can see what others with your credentials experienced. Collectively they’ll give you a pretty solid sense of what’s likely to occur…with the obvious caveat that every cycle is a little different, softs do matter, and perhaps above all the admissions game is never black and white or wholly predictable, so keep in mind that educated guesses are still guesses when you’re near the fence (as you appear to be). So ultimately I think you’re in great shape no matter what! You’re more likely than not to get in from the sound of things, and if you do retake in Feb then it’s either a lower score which won’t matter, or a higher score which all but locks you as an admit and possibly secures some money, too. A. I am a double major who will (all things going well) graduate with a B.S. in ecological and environmental Science and a b.a. in English. will this help me be more competitive? B. My worst grades were in math and math based science classes (calculus and chemistry) which don’t directly apply to law school. do you think its worth pointing this out on my application? c. I’m standing currently at the 25th percentile gpa-wise. If Ii were to achieve UCLA’S 75th percentile LSAT score would that sort of average out to a median gpa? A. The BS will help a bit because it’s different (most law applicants come in with a BA only), but overall it won’t be a game changer. LSAT and GPA still dominate the process, but you can use your major as a basis for your environmental law aspirations, so the fit is nice. B. No, I’d leave it alone. It is very difficult to explain lower grades in general, and you don’t want to come off as though you are making excuses. Being sick, or having family be sick or pass away are the kind of explanations they see, so trying to make the case that “they don’t apply to law school” won’t compare well. And, in any event, the school still has to report your GPA so rather sadly they don’t care much why it happened unless the reason is *very* compelling. C. Yes, it would help, and the higher you can go, the better. Applicants with a high LSAT/low GPA combination (relatively speaking, of course) are called Splitters: https://blog.powerscore.com/lsat/what-are-law-school-splitters-reverse-s…. And the two numbers do work to offset each other, so a high LSAT is something you should focus on. In the grand scheme of things, if you are going to be a splitter, you want to be what you are looking at: lower GPA, higher LSAT. That is because the LSAT is valued more than the GPA in the admissions process, and so they are more prone to take someone with a very high LSAT score since they get fewer of those than they do of applicants with high GPAs. I have a 3.94 GPA from a state university, but I am a horrible test taker. I have been practicing and studying for the LSAT for months but my PT scores are consistently 156. I really want to go to a top school, but just don’t know what my chances are with an LSAT score so low despite my high GPA. What are my chances of getting into a T 14 or even T 20 school with these stats? Might have to consider applying next application cycle to get my LSAT up if they’re not too likely. Just wanted to see what you thought. Hi Stephanie – thanks for posting! Admissions prediction is always something of a tricky business, as very few situations can be estimated with a ton of certainty, but I think in this case it’s likely safe to say most, if not all, top 20 schools are going to struggle taking a 156, even with your stellar GPA. And if they do I’d say it’s extremely unlikely that they offer along with the invite (making it an awfully expensive gamble). I’d enter 3.9-4.0 for GPA, and 155-156 (or even 154-157) for LSAT, and search applicants back to 2015-2016 or so. What you’ll find is that there are some acceptances for those numbers! But the odds aren’t better than about 30-35% until you get to about the 18th to 22nd ranked schools, where people had more success. So you’re certainly not out of the running, but it’s going to be a long shot at most schools in the top 20. This current application cycle hasn’t started yet, and there are at least three more tests you can still register for (September, November, and January…and likely next March too) to apply for a start next fall. So my advice here is to get signed up for either September or November (or both) and give it another go! Statistically your score is likely to increase, especially if you keep prepping, so it’s well worth another attempt given your GPA and target schools! It comes with nearly 40 hours of recorded lessons, plus an extra 50 or so video hours on conceptual supplements, strategies (like speed), test mentality, and a host of other things central to a top score. It’s also pre-recorded meaning you could pick and choose what you want to work on, instead of being in a live class where you’re married to the syllabus and moving at the group’s pace. This is far more flexible and customizable so perfect for someone who’s already familiar with the test and their own strengths and weaknesses, and for someone looking to score at the very highest levels it now includes a number of the discussion points you’d find in the Advance Course too (I’ll explain: I recently taught an online course and as a bonus for students I hosted three open-ended “office hours” type sessions for lessons 1-4, 5-8, and then 9-12 where I talked about a huge number of those 170+ type ideas…it came to something like 10 hours in total, and we’ve just added those to the course’s student center for anyone to watch, so you’ll see some top-level discussion that wasn’t previously included). It also comes with our full course materials, including every LSAT question and the newest tests, and my favorite feature: access to our LSAT Instructor Hotline where every Mon-Fri afternoon while you’re enrolled you can call our main office number and speak live with an instructor to get any problems you’re having resolved. So there’s basically free tutoring included with the course, with real-time help just a call away. That’s such a helpful tool to supplement the videos with, especially as you take the most recent tests and have questions from them. So that gets my vote given your score and timeline! Let me know if you have any questions or if I can help further! I know this post is old, but I thought I’d give posting a question a shot. I am currently a 4th year with a 3.8 GPA from a state school. I am taking the LSAT in September (and probably November) and have been scoring in the 160’s, but I feel confident that I could get to the low 170’s by November. What do you think my chances are for top schools with this? *If it helps, my GPA was lowered by one semester of low (3.23) grades due to a concussion. Thanks for the question! The exact chances will change tremendously based on where you LSAT score lands, and a 166 is a totally different set of outcomes compared to a 170. I hope that helps, and let us know if there’s anything we can do to help get you into the 170s! I was wondering if you could help piece together my situation. I have a high GPA (3.9+), and I took the LSAT twice. The first time I got a 166, but since I decided on a gap year I thought it would be a good idea to re-take to work for a higher score. Unfortunately, I dropped by 4 points. Resources claim that law schools pay more attention to the higher score, but is that true if the second score is lower? Is that kind of drop extremely detrimental? How am I looking with a 4.06-4.1 GPA (from an Ivy undergraduate school, if it matters) with a 172 LSAT (taken once)? Should I use the month of December to (a) relentlessly work on applications or (b) hold off, retake the LSAT in January, and submit then for schools like Harvard, Stanford, and Yale? It’s very kind of you all do this. Your help is much appreciated. Hi Andrew- thanks for posting! Short answer is you’re looking excellent 🙂 Applying to those three is always something of a guessing game, since admission to places like Harvard and Yale is rarely a certainty, but I’d say smart money is on you getting in to at least one. Enter an LSAT range of 171-173, and GPA of 3.9-4.1 or so, set the years as 2015 to the present, and take a look at the results you get (you can also adjust things like underrepresented minority, early decision, etc, but I tend to just leave those as-is to get the full scope of outcomes). What I’m seeing is that Yale and Stanford are perhaps a coin toss, while Harvard looks very promising. Keep in mind too that these numbers are student-reported, so ultimately unverified. I’ve found them to be pretty reliable over the years, but I can’t claim them as gospel…so treat them accordingly. Hi, thank you so much for your content. I hope you can help me, which I’d say is a rare case. I am an Asian male, with 170 LSAT and 2.77 GPA on 4.0 scale, which might be 5th percentile for every T14. I also have 2 years of working experience. Do you think I would be considered by bottom T14 schools if I manage to score 172? Hey Steven – thanks for posting! I don’t think your case is quite as rare as you might suspect, but certainly it’s not the norm: Super Splitters, of which you are one, are a well-known group with some unique considerations to make when applying. 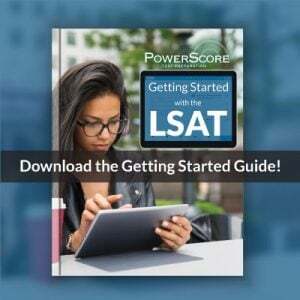 That’ll give you some helpful tips right away (and some encouragement, I think, as a number of schools are notoriously splitter-friendly: https://blog.powerscore.com/lsat/which-law-schools-are-splitter-friendly/). Of the T14, only four schools—Penn, UVA, Duke, Northwestern—had acceptance rates above 20%, and among those who got in only one person got multiple acceptances with a GPA at/below yours(http://lawschoolnumbers.com/laqueredup with a 173/2.75) and one other got into Northwestern alone (http://lawschoolnumbers.com/x8e92n with a 173/2.70). Granted, those stats aren’t everything, and they don’t tell the full story, but it seems pretty clear that you’re going to need AT LEAST a 172, and likely higher, to have much of a shot at a T14. With a 173-175+ though there’s plenty of reason to be hopeful! Hi! Thanks for this – your posts are all so helpful. I have a question about retaking. I took the LSAT for the first time last year, and got a 156. I was going through some personal issues at the time and took a year to figure out if I really wanted to go to law school – turns out, I really do 🙂 So after changing the way I studied (and making a career change that actually gave me the time to study) I just retook the LSAT in March 2019, I got a 163. I have a 3.5 undergrad GPA, and five years of writing/legal career experience. So my question… I am trying to decide if I should retake the test in June? I am worried that the 156 score looks bad, especially if I took it again and did worse than 163. I think I can maybe do a point or two better but 163/164 is looking like a plateau for me. Most schools I’m looking at seem to have median scores between 160-164. Would be really interested in your thoughts! Thanks! Thanks for the question! These days law schools focus only on the high score, so your 156 is irrelevant 🙂 With that in mind, if your 163 is at the median and it s sort of plateau for you, then I’m not sure it’s worth it to retake. Being at the median is critical, so for those 164 schools it would certainly help, but if you feel like the chances aren’t great you’ll improve, it’s hard to justify using your time to prepare.